In the year 2000, sports history was made after the first official Major League Baseball game was played outside of North America. The Mets would play the Cubs in a two game series in the Tokyo Dome in Japan, where each team alternated home field advantage between the two game set. The Tokyo Dome was sold out with all 55,000 seats being occupied with the fans blowing the lid off of the stadium. 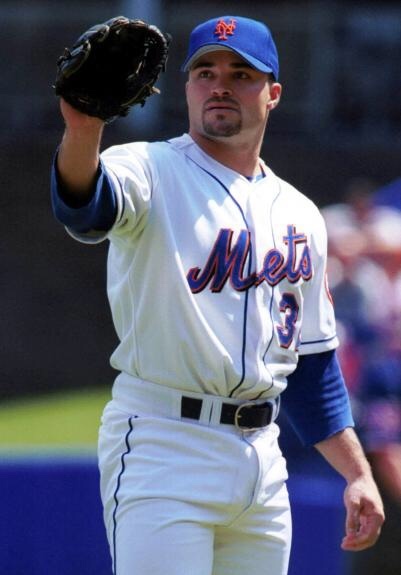 Mike Hampton, the former 20 game winner with Houston made his debut in a Mets uniform, after joining the Mets the previous off-season with right fielder Derek Bell for the outfield speed demon Roger Cedeno and a young pitching prospect by the name of Octavio Dotel. Hampton was known for being a nimble little left handed pitcher who knew how to get outs by working the corners and with his above average change up that had the tendency to keep the opposition off-balance. Hampton would go ahead and pick up his first loss as a Met in this historical game to the Cubs, 5-3. The former Astro would end up only going 5 innings while walking an outstanding 9 Cubs and only striking out one. Darryll Hamilton would hit a sacrifice fly driving in Rey Ordonez off of Jon Lieber to give the Mets their first run in Tokyo, Japan. In the bottom half of the 8th, Mets legend Mike Piazza hit a 2-run blast, cutting into the Cubs lead. However, it wasn’t nearly enough to give the team the victory. The game was eventually protested due to Jeff Huson being listed as a reserve for the Cubs, however Huson was not on the Cubs 25-man roster. Bobby Valentine was quoted saying “I didn’t really want to do it, I didn’t want to protest over such a silly thing, but the game is a major investment for the team and a win is a win”. Following the game’s finish, Valentine withdrew his protest as he came to realize that Jeff Reed was listed on the roster twice and Huson was accidentally left off causing some confusion. Rick Reed would win game two of the monumental series with the help from a Benny Agbayani Grand Slam.